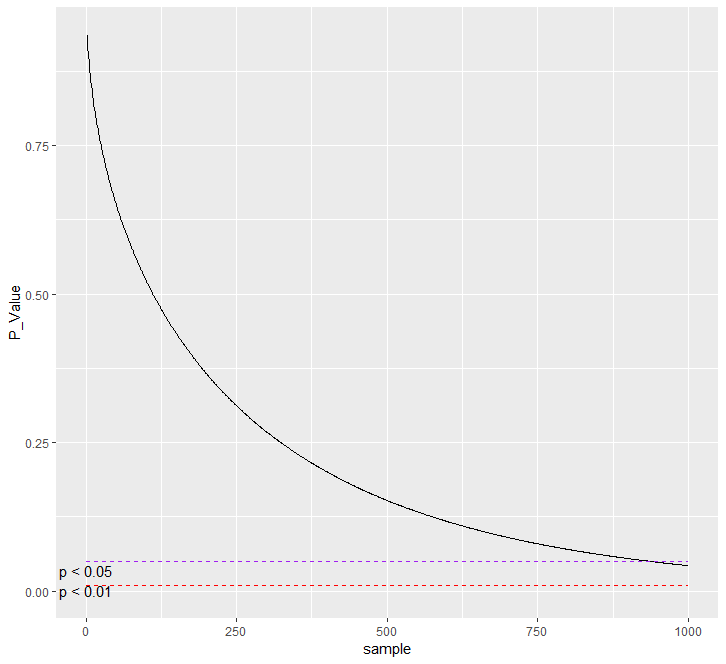 We know that P-values (within t-test context as an example..) is highly sensitive to sample size. A larger sample will yield a smaller p-value remaining everything else constant. On the other hand, Cohen´s d effect size remains the same. I'm inspired in this code here, but I´ve changed some parts to make the difference between means constant, instead of creating a random variable based on a normal distribution. Although everything is working, I do imagine that some of the experts in this community could improve my syntax.